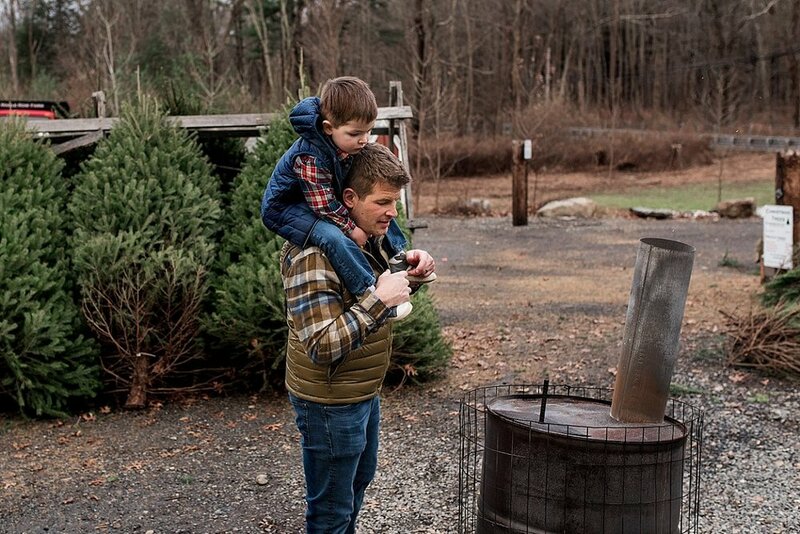 Photographing a family tradition at a Connecticut Christmas tree farm. 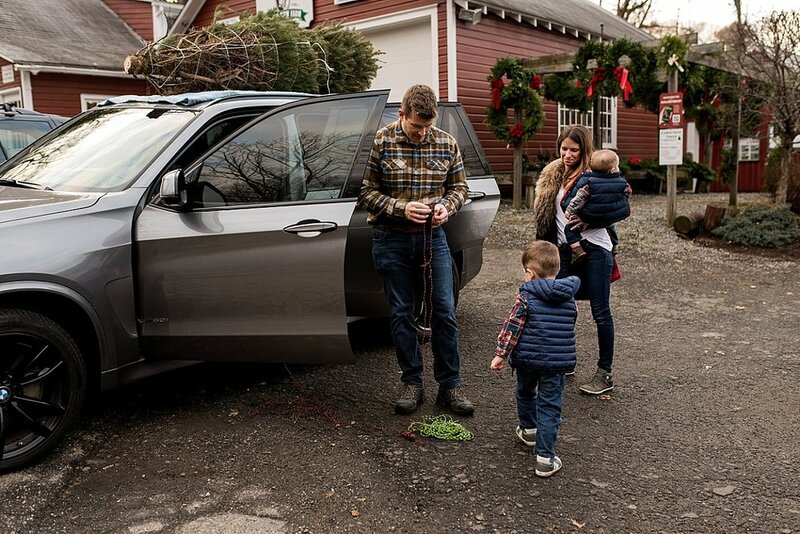 Documenting family traditions and every day moments is such a passion of mine. Getting your whole family into the frame and into the story, something you can’t do when one parent is holding the camera. Documenting your story is for you, but it is also for your children. Giving them the gift of seeing what a day in their life was like, with you in the frame right next to them, loving them hard. 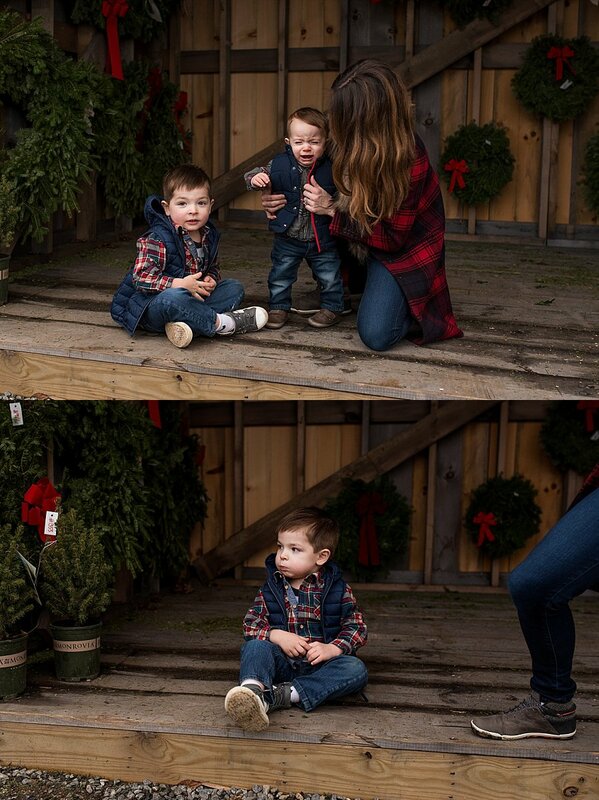 When Stephanie reached out asking me to document her family taking their annual trip to a Christmas tree farm, I just needed the rest of Fall to finish up fast so that it would be time for our session because I was just too excited. We lucked out with a late Fall day that was on the warmer side. 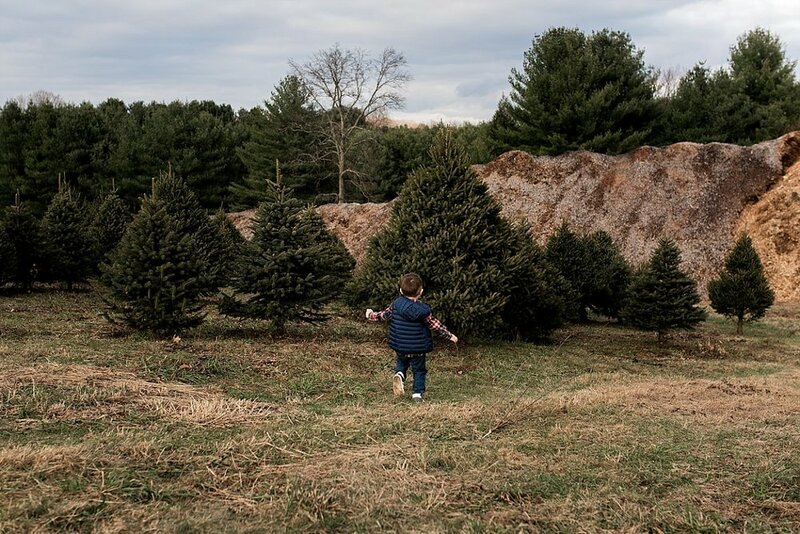 It was so exciting exploring the tree farm and seeking out the perfect one for their home. Big bro Jack found one “just his size” almost immediately and their perfect tree was found just after that.